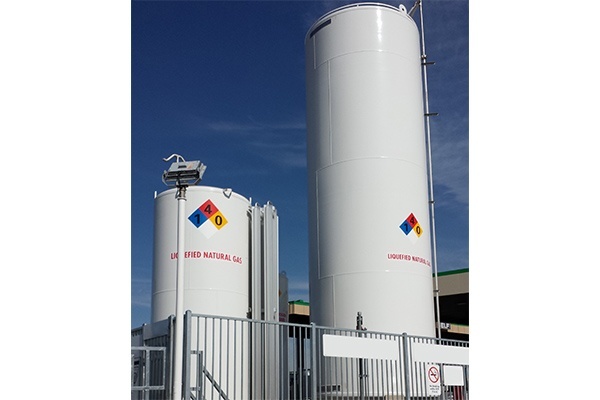 TransTech Energy offers a full range of standard and custom engineered LNG cryogenic storage tanks, as well as turnkey and custom systems for storage and regasification. 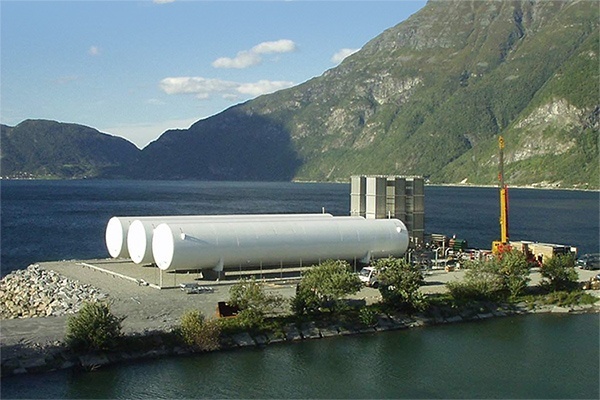 Tanks from 89m3 to 1225 m3 are available in both horizontally and vertically oriented designs to accommodate specific customer requirements and applications. Cooled to a temperature of -162 °C (-260 °F) through the process of liquefaction, LNG is condensed to 1/600th the volume of natural gas (in its gaseous state) for ease and safety in both transport and storage. Maintaining pressure and temperature in changing atmospheric conditions is critical to preserving LNG’s liquid state. 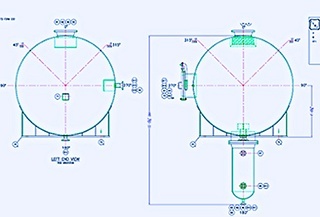 Our LNG storage tanks include a lightweight stainless steel interior vessel fortified with a robust outer jacket and buffered by superior vacuum insulating technology to ensure outstanding thermal performance, extended LNG hold times, and minimal product loss. 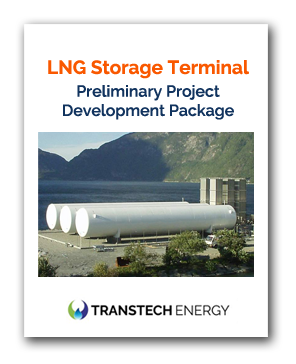 Leveraging our own design, engineering and turnkey project delivery capabilities as well as the skills and expertise of our industry-leading partners, TransTech delivers trusted, end-to-end LNG solutions that consistently reduce operating costs while significantly improving emissions. 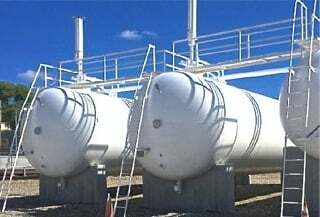 Pair your LNG tanks with our other engineered components to build a complete storage solution that delivers natural gas at the point of use in accordance with specified capacity and withdrawal requirements. We offer a broad array of standard components including best-in-class vaporizers, manifolds, vacuum insulated pipe (VIP), and control systems. Micro Storage & Regasification Solutions - Complete, self-contained systems for small users. 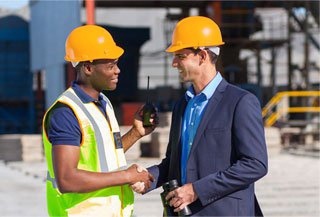 Affordable, turnkey solutions that deliver economy, ease-of-use to users wishing to benefit from LNG—from small scale users in science, industry and transport to power stations and distribution terminals. 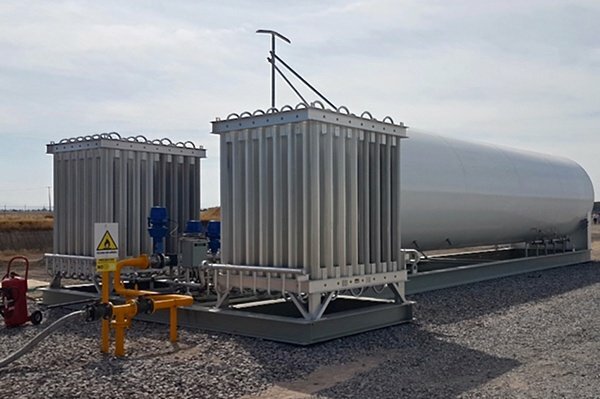 Compact LNG Satellite Units – High-performance, turnkey ‘plug-and-play’ solutions deliver simplicity, reliability and economy to small to mid-size operations not connected to the natural gas grid. Offering a range of storage capacities and full automation, each unit delivers the convenience of portability, simple installation and startup combined with built-in safety and compliance. 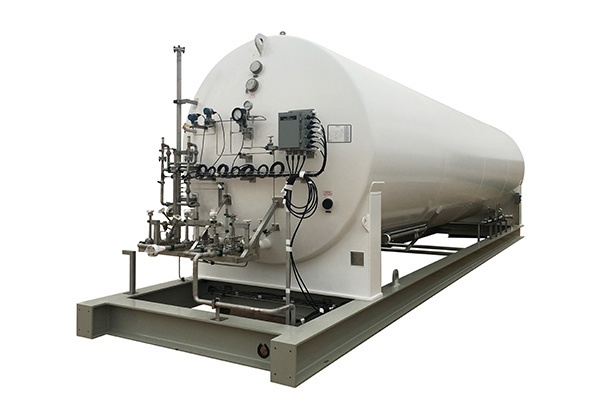 Fully Customized LNG Regasification Plants – Larger-scale, customizable solutions are in demand particularly for larger industrial customers converting from diesel and/or fuel oil to natural gas, most notably in power generation. Fully customized solutions generally incorporate integrated systems for added functionality such as truck loading areas, jetty modules for ship bunkering, or vehicle fueling outlets for natural gas powered vehicles. 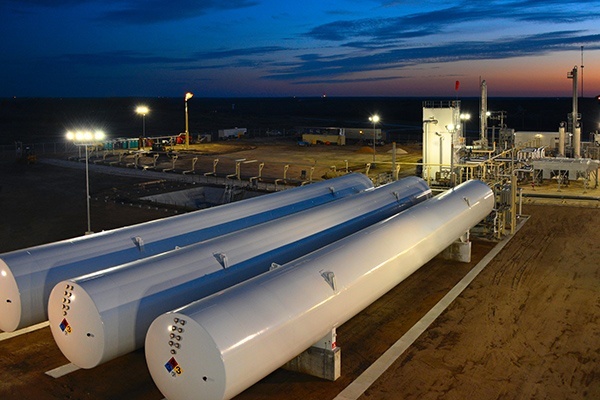 And of course, best-in-class tanks, vaporizers, and vacuum insulated pipe form the foundation of all our LNG regasification offerings. Call us today to speak with one of our LNG specialists about your LNG storage needs at 1-888-206-4563 to learn more.